NRG Energy is the largest power generation company in the United States. It makes its money – obviously – selling energy. So what’s its subsidiary, Reliant Energy, doing pushing the ThinkEco modlet, a product all about cutting back on energy use? Welcome to the new world of energy, where power companies are embracing those technologies that could upend them if they don’t. These companies no longer sell just energy, but also its opposite: the idea and practice of saving energy. For those who follow NRG Energy’s CEO, David Crane, the deal his company announced last week with ThinkEco is not such a big surprise. Crane has made the news in recent months as a thought leader with his adapt-or-die warnings to conventional power companies, those who are not ready for the upcoming business disruption created by technologies like plug-in electric vehicles, solar panels and home-as-a-power-plant devices. ThinkEco’s signature ‘modlet’ is one of these technologies, a threat or opportunity, depending on how you look at it. The little plug-in box lets you remotely monitor and control the energy use of individual appliances – printers, air conditioners, coffee makers and the like – via the cloud. The modlet has received particular attention in New York City where Consolidated Edison has been testing it as a way to reduce air conditioning demand on hot days. Now Reliant Energy, a competitive retail energy supplier, is offering the modlet in Texas to its business customers that have a peak electric demand of at least one megawatt. By pushing the modlet, Reliant Energy is saying, ‘Please use less of our product.’ Is this business suicide? Not if you’ve got an eye on where the industry is going, explained Robert Gaudette, NRG Energy’s senior vice president of commercial and industrial sales and origination. The energy supply business, he said, can no longer be just about pushing kilowatt-hour sales. That’s not what customers want. This is not a do-gooder gesture, but a relationship building business strategy: “The more that my team can help customers manage and understand their energy usage, the more likely we are going to be their energy partner for the future,” he said. This idea is supported by an Ernst & Young global survey last year on energy use by large corporations. Efficiency was high on the list of those surveyed – 82 percent plan to reduce energy use through efficiency measures over the next five years. 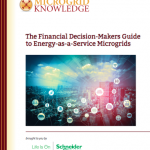 Nearly half of the companies listed energy demand management as an important way to go about saving energy. So how does the ThinkEco modlet fit into an energy management strategy? The device helps businesses see how they use energy in a more granular way than bills or smart meters do. The modlet drills down to the level of each plug. So it is possible to view – and manage – how much energy each piece of equipment uses. This is important because plugged-in equipment accounts for more than 25 percent of average office electricity use, according to an NRG Energy/ThinkEco news release. By plugging in the modlet – which goes into any standard electrical outlet – businesses can see exactly how much energy they waste by leaving office printers on at night or running the vending machine 24/7. Modlets also help identify vampire power – energy drawn from equipment even while it is off or in sleep mode. 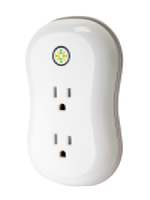 The company can then take action by scheduling the smart outlets on or off, using a computer or cell phone. 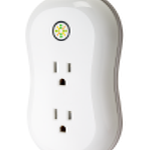 ThinkEco’s modlet is just one energy saving strategy in NRG Energy’s toolbox these days. For example, Reliant Energy also offers the Nest Learning Thermostat, a smart device to manage home energy use. Green Mountain Energy, an NRG Energy subsidiary that sells renewable energy, also offers Nest. NRG Thermal builds efficient combined heat and power systems. eVgo, another subsidiary, has created what it describes as the nation’s first comprehensive, privately funded network of home charging and public fast charging stations for electric vehicles. 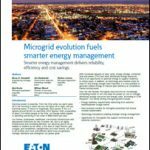 And just last week NRG Energy acquired Energy Curtailment Specialists, one of the largest, private demand response providers in North America. Of course, selling energy will always be what an energy company does. NRG Energy operates 47,000 MW of generation, and that’s not going away. But saving a kilowatt is increasingly viewed as a profit-making venture, one as tangible as making a kilowatt. When the biggest generation company in the country jumps into the energy efficiency game – with both feet and several subsidiaries – it’s important to take notice.